Being consistent in your workouts is an effective way to help your body lose weight, however without the proper nutrition you aren’t going to get the results you’re looking for. Ideally you want to get all of your nutrition from food sources, but the vast majority of us are falling short in at least a few of these important nutrients which are going to help accelerate the process. Taking a multivitamin to help achieve their weight loss goals is something that pretty much everyone should be doing. Many of us skip meals here and there, don’t eat as healthy as we should be, or are just missing important nutrients due to a restrictive diet as in the case of vegetarians or vegans. A multivitamin such as Ultimate Man by Men’s Healthy Lifestyle is going to provide you with all of those essential nutrients which you aren’t getting from your diet. 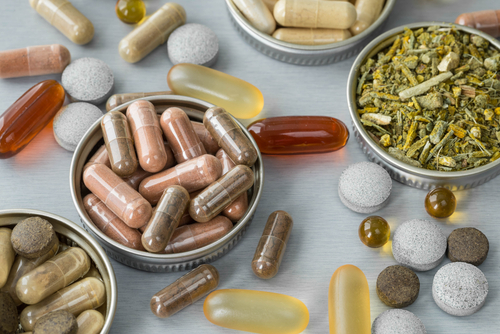 Taking a multivitamin in addition to your other supplements will allow your body to recover more quickly from exercise, which means you will see faster and bigger gains. 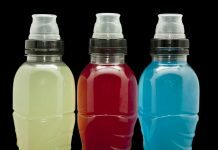 Sports drinks and energy drinks have gotten a lot of negative press as of late due to their relatively high caloric content because of the sugar they contain. This isn’t the case if they are used properly, and can in fact aid in an increase in performance and recovery. 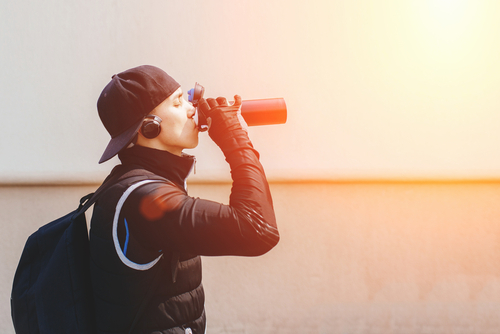 If you are someone who works out at a moderate or better pace for an hour or more each session, you more than likely can benefit from using a sports drink the next time at the gym. The electrolytes and water within these drinks are extremely important in keeping us hydrated, and the sugars they contain provide us with energy to replenish our glycogen stores, which keeps our energy levels stable. Protein supplements are very common among people who lift weight, but not necessarily among those that don’t. 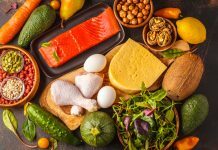 There is a common misconception that runners, swimmers and other endurance athletes don’t need to supplement their diet with protein which is the furthest thing from the truth. The facts are that most of us whether we are athletes or not, do not get enough protein in our diets. For example if you are a man and are just looking to maintain your muscle mass, you should be eating about 0.8 grams of protein per pound of your body weight. If you want to be gaining muscle, ideally you want to be eating close to one gram of protein per pound of bodyweight a day. Just to give you a rough estimate of how much this is, a 3 ounce piece of chicken contains about 25 grams of protein, and a cup of Greek yogurt contains about 22 grams of protein. If you are a 200lb guy and want to maintain your muscle mass you need to eat roughly the equivalent of 8 pieces of chicken or 9 cups of that yogurt a day, which is why many people supplement their diet with some kind of powdered protein. 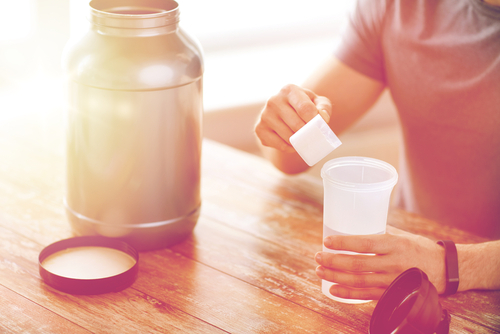 A cup of whey protein on average will give you somewhere in the neighborhood of 25grams per scoop, is really convenient and easy to use as well. This is a great method to make up on all that protein that you are missing from your diet. Another popular type of supplement people look towards to improve their performance at the gym are nitric oxide boosters or stimulants. Nitric oxide boosters are popular in many types of drugs including various heart medications and even erectile dysfunction medications. This is because of the role that our cardiovascular system and blood flow plays in our health. Nitric oxide is the chemical the body uses to signal the opening of our blood vessels. Doing so during exercise is beneficial because it can increase blood flow to these muscle tissues which is going to both enable them to have better stamina during exercise, and in turn better recovery afterwards as well. Stimulants on the other hand are going to do exactly what their name suggests, in that they stimulate our nervous system. Exciting the nervous system is a way to not only provide the body with a quick jolt of energy, but to boost your metabolism simultaneously. This provides the user with an energy boost, and a helpful fat burning effect way that lasts long after the exercise is over. Next articleDoes Fat Girl Six Pack Work?